Sergei Mozyakin and Danis Zaripov smashed long-standing records and Zach Yuen set new ones; Kirill Kaprizov and Igor Shestyorkin were wise beyond their years, while Chris Lee refused to grow old and Ilya Kovalchuk emerged a new man. To mark the end of an outstanding season, khl.ru pays tribute to ten players for whom 2016-17 was a championship in which they excelled themselves, defied critics, and exceeded all expectations. Metallurg captain Sergei Mozyakin was far and away the Magnitogorsk men’s most dangerous forward of the regular season, topping both goal and point scoring rankings with a total of 85 (48+37) points in 60 games. In the post-season, he added 24 (7+17) points in 17 playoff games. The finest coaches and defenses in the KHL tried to tackle the problem of how to stop the master marksman, but none could find a solution. This season, Mozyakin became the top goal scorer in the history of all the national championships in Russia, recorded his 1,000th career point, and broke Benjamin Alexandrov’s record for goals scored in a single season, as well as smashing other KHL and Russian Championship records too numerous to mention. Mozyakin’s Magnitogorsk linemate, Danis Zaripov, is the only man to have won the Gagarin Cup four times, and first got his hands on the coveted trophy back in 2009 as part of the Ak Bars side which triumphed in the KHL’s debut season. Nine years on, and he is still without doubt one of the finest playoff specialists in the League. Danis took a while to get going in this year’s regular season, and did not celebrate his first goal until his tenth outing, but he gathered steam over the winter and finished the campaign with an impressive 45 (16+29) points from 56 games. And he saved his most stunning exploits for the knockout stage in March, when the 36-year-old hit 15 goals, including three hat-tricks – a feat no-one had ever achieved before in the KHL. 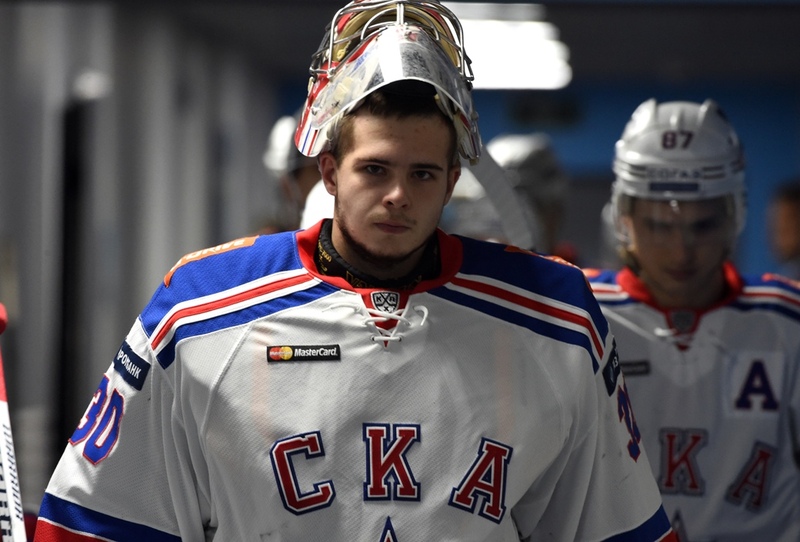 Zaripov is the holder of another curious record: he has scored against no fewer than 153 different goaltenders – the highest number of “victims” of any player in Russian championships. 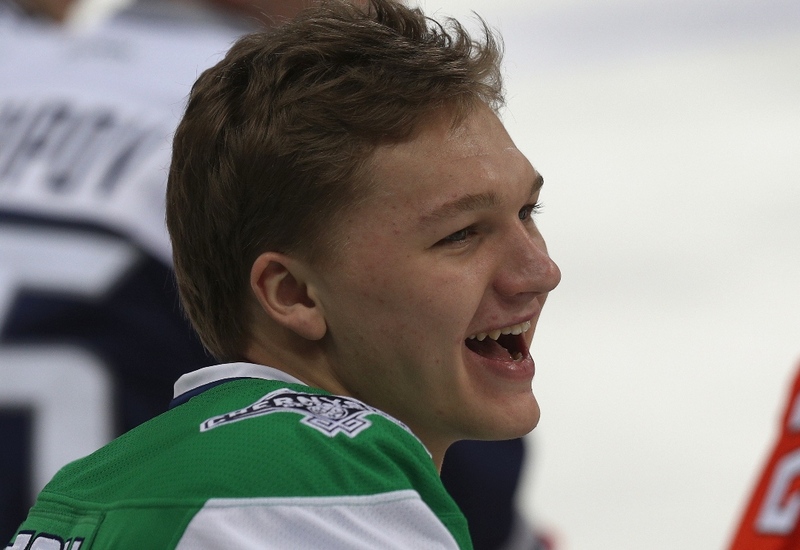 Staying with youth, the most talked-about young player in the League was undoubtedly Salavat Yulaev forward Kirill Kaprizov, and it was only last Wednesday, the 26th of April, that he reached his 20th birthday. This season, Kaprizov helped secure medals for his country at the World Junior Championships for the second year running, while domestically, this native of Novokuznetsk became a leader at one the League’s biggest clubs, enjoying 49 outings and racking up 42 (20+22) points, thus becoming the Ufa men’s top sniper and second highest point scorer. Hockey is a team game, of course, so we must also tip our hats to the experienced Swede, Linus Omark, for his part in creating the priceless chemistry which was so evident in their deadly partnership. What a difference a year makes. 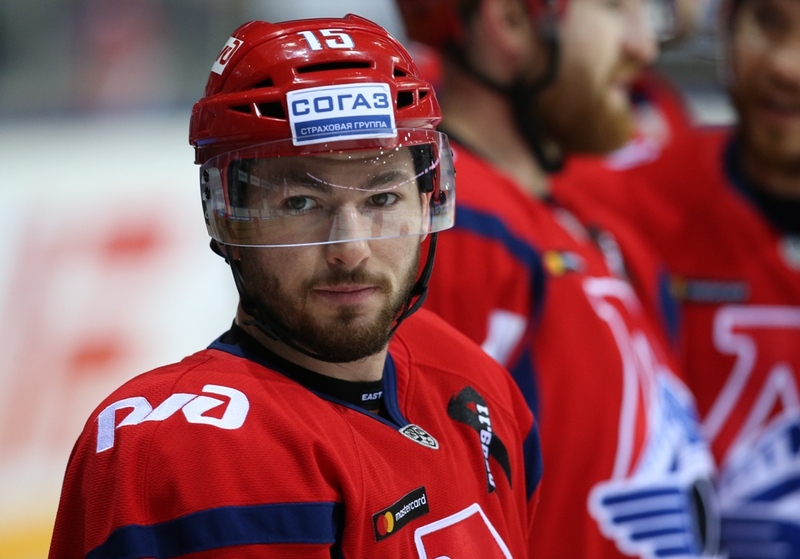 The previous campaign ended with Ilya Kovalchuk losing the captain’s armband and his place in the team. 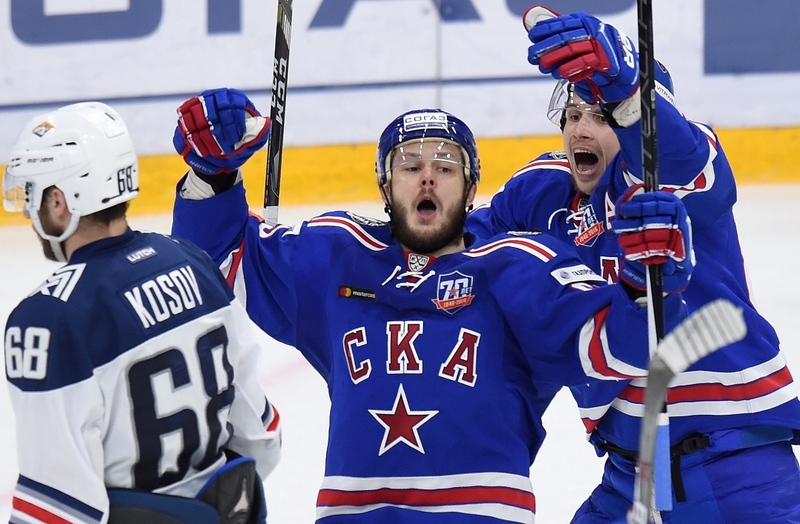 Whatever the reasons, and they remained unknown outside the SKA locker room, the episode soon became a mere historical curiosity, thanks to Ilya’s explosive start to the 2016-17 season, which included a hat-trick as early as the second game. Kovalchuk played in all 60 regular championship games, and only in 11 of them did he fail to grab at least a point. His longest scoring run stretched to 13 matches, he was the team’s top goal and point scorer, and when the Petersburg men captured the Gagarin Cup in Game 5 of the final, it was Ilya who struck the championship-winning goal. Canadian forward Nigel Dawes has been at Barys since 2011, since when he has taken Kazakh citizenship and become a leader for the Astana men and for the Kazakhstan national team. In the 2016-17 season, Dawes made a huge contribution in helping Barys reach the KHL playoffs for only the second time in the club’s history. His figures, 62 (36+26) points in 59 games in the regular season and 10 (7+3) points in 10 playoff outings, speak for themselves. And this year Nigel Dawes became the first foreign player to break into the top 100 goal-scorers in the history of Russian championships. Canadian defenseman Chris Lee is the colossus at the heart of the Magnitogorsk defense. 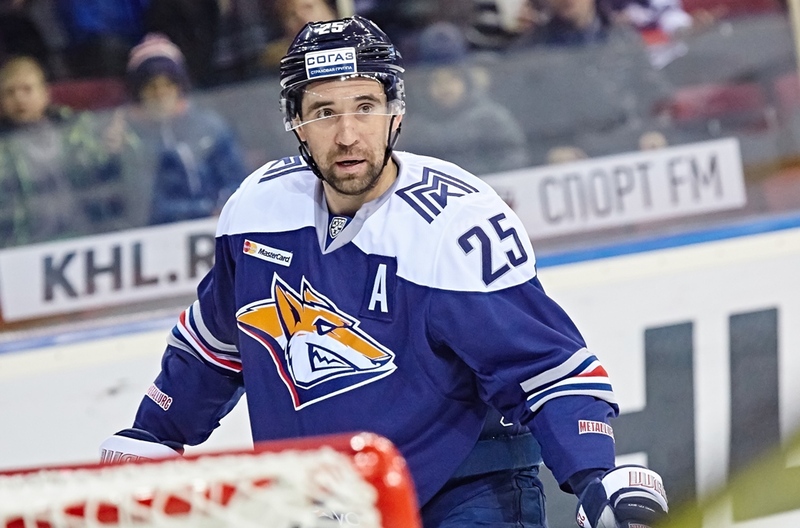 In four campaigns for Metallurg his average ice time has never dipped below the 21-minute mark, and during the vital encounters he often takes to the ice in every other shift and racks up around half-an-hour of playing time. This season was no exception, with Lee averaging 25 minutes for the regular season and 27 for the playoffs. As if this wasn’t enough, the 36-year-old D-man has a better goal scoring record than many forwards, and his 2016-17 haul of 65 (14+51) points in 60 regular season games made him Magnitka’s second highest scorer, bettered only by Mozyakin. This year the Kontinental Hockey League welcomed another member club into its ranks, and the newcomer immediately became a force to be reckoned with. Kunlun Red Star of Beijing not only qualified for the playoffs but even recorded its first ever knockout stage victory, and against the reigning champion, Magnitogorsk. Under the wise guidance of coach Vladimir Yurzinov Jr., the Chinese team stayed in the Eastern Conference top eight for the entire regular season, with a team built around a spine of experienced North American imports. However, it was one of the younger players who shone the most brightly: Zach Yuen, listed as a defenseman but equally comfortable in offense, became the first Chinese player in the KHL to score a point (on October 1st, against Spartak), then a goal (October 27th, against Amur) and even managed to score in the playoffs. History in the making! This year SKA secured its second Gagarin Cup, following on from its 2015 victory. In that memorable triumph of two years ago, the Northern Capital’s goal-scoring hero was Evgeny Dadonov, and this season the forward proved he had no intention of resting on his laurels. In the regular championship, Dadonov set a new personal best of 30 goals, but like so many great players he kept plenty in the tank for the playoffs, and particularly, the final series. He scored a total of five goals over the first three knockout rounds but found the net four times in the decisive five-game battle against Magnitogorsk. Naturally, any tribute to Evgeny Dadonov’s heroics must include a mention of his formidable partners: Vadim Shipachyov and Nikita Gusev. 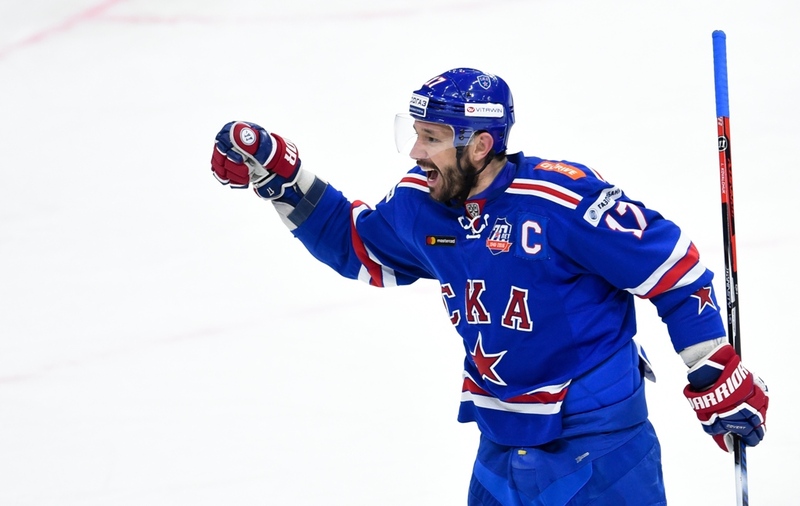 One of the sensations of the playoffs was Lokomotiv Yaroslavl, who in the second round of the Gagarin Cup knockout stage surprised the hockey world with a 4-2 series win over regular season champion CSKA. Lokomotiv had achieved a lofty fifth place in the overall regular season standings, and it is hard to overstate Brandon Kozun’s role in the Railwaymen’s success. The 27-year-old Canadian was the spearhead of the Yaroslavl offense, and after 59 appearances his account showed 56 (23+33) points. Kozun was just as dangerous in the playoffs, scoring 14 (2+12) points in 9 games, and only injury put a stop to his tremendous run of form.